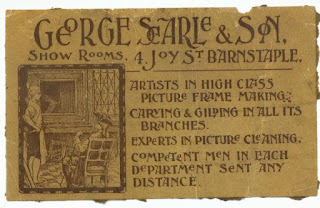 Picture Frame Labels: George Searle & Son. The great label in this post was supplied by John Turner of Angmering Framing & Stitches, West Sussex, England. 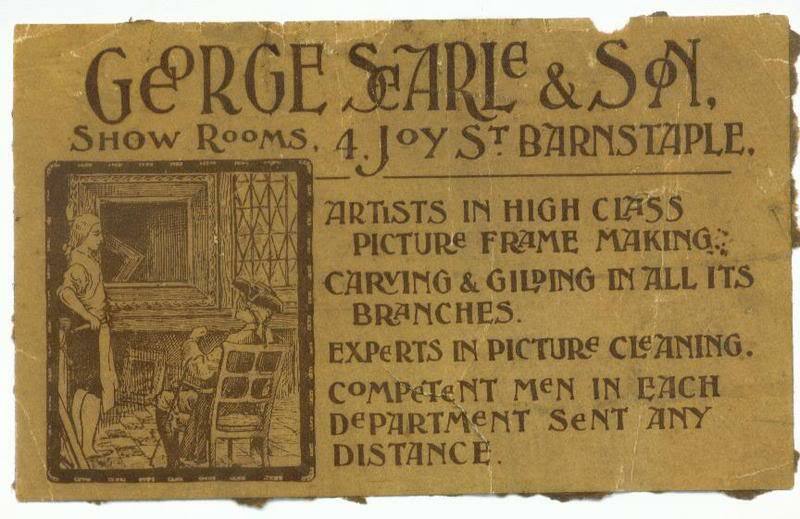 I can't find any additional information on the company, although the 1901 census shows that George Searle aged 48, his wife Mary Searle aged 50, their son Bertie G H Searle aged 21, and house worker Mary J Delve aged 18, all lived at this address in 1901. Although strangely the professions of both men were listed as 'Painter and House Decorator'. If any more history can be supplied we can update this post. George McKern & Sons, Ltd.